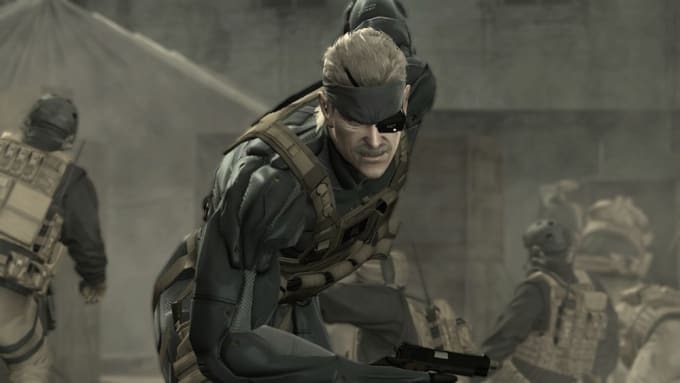 Konami have been one of the most important names in video game development since the 1980s. They’re the guys behind Metal Gear Solid, Pro Evolution Soccer, Castlevania and Silent Hill, as well as many other classics. But rumours having been rumbling about discontent at the Konami offices for a while now. Hideo Kojima, the genius behind the Metal Gear games, has had his name removed from several projects, and a collaboration with film director Guillermo del Toro was cancelled. Now a report from Japanese magazine Nikkei suggests that Konami is not a fun place to be right now. Basically, it says that because a mobile game called Dragon Collection was a massive hit a few years ago, they’ve tried move away from making console games and focus on making products for phones. And most of the staff aren’t happy about the switch. Staff who spend too long at lunch are being names and shamed. Cameras in the corridors to monitor employee’s movements. Some staff not being given permanent email addresses, and being forced to change addresses every few months. Game developers being moved to random jobs like security, cleaning at the company’s fitness clubs, and working in their slot machine factory. Staff who liked a Facebook post of a colleague announcing he was quitting are being monitored and reshuffled within the company. Metal Gear Solid V: The Phantom Pain is still due on September 1. And there’ll be a lot of eyes on it to see how it turns out amongst all the (alleged) chaos.